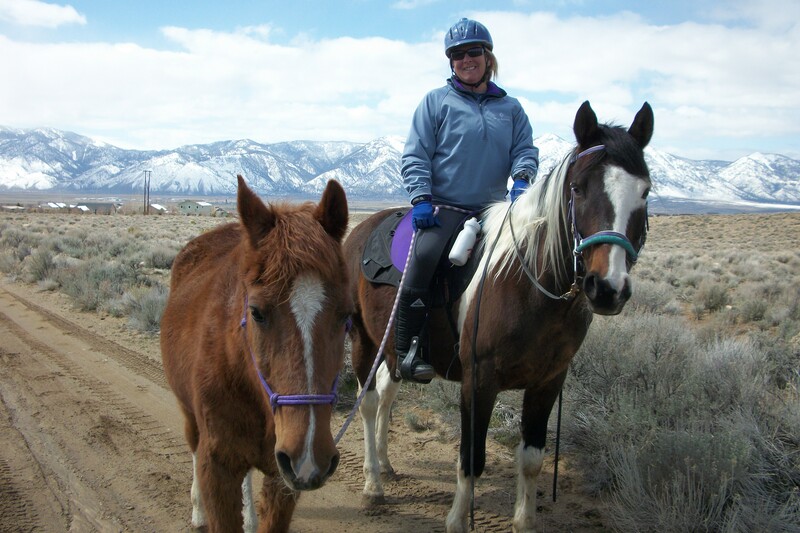 Tahoe Horse Trails' Blog | Tahoe Trail Talk ~ From the Back of a Horse! Back from a month in Spain, and looking foward to getting my boyz up here to the Lake; then it starts snowing again! May 18, 2011: 4 more inches of snow. There is fresh green grass under the snow… but I’m not into bringing the horses up while it’s still snowing up here! Then, an outbreak of deadly herpes virus broke out. Started in Utah, but cases have spread to most western states. Our barn at Loagan Ranch is locked down. There aren’t any horses up here at Amacker’s yet, but I don’t know when we will be able to bring our horses in. The surrounding meadows are still water-logged and I know that a lot of wind damage from last winter has blocked a lot of the trails. As soon as possible, I’m going out hiking and mountain bike riding on our local trails and I’ll report what I find. I also have a “saddle saw”, a foldable, pocket saw that I can trim some smaller downfall with. Over the winter, my sweet baby, Gaby turned 30. He is still doing great, and I pony him off Bandit several times a week. He still loves trotting out and I know he’s looking forward to coming back to the lake this summer and enjoying all the green, green grass; plus he can’t wait for his swim-time in the river! Keep checking back ~ I’ll update the trails condition as I get out there ~ watching the snow melt! Gabe being ponied with Bandit on his 30th Birthday! Here is a little video of still images from a trail ride to Dardanelles Lake in 2008, featuring Becky on Grace, Nancy on Ben, and Deanne on Bandit. It is raining incredibly hard and has been for almost 24 hours. 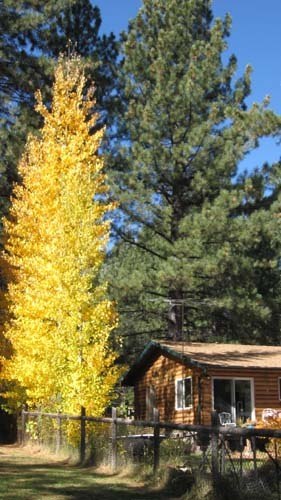 Fall at Lake Tahoe this year has been dismal, to say the least. We got a very early 4″ snow fall on October 4 that seemed to “pause” the autumn colors from even really starting up. Our yard Aspen are still fully green, although our Maples are bright red. 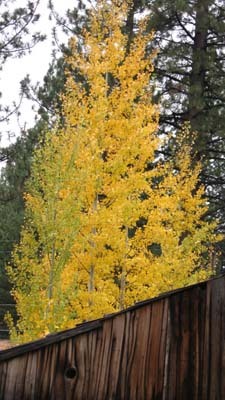 However, with this rain from an old Japan typhoon, our fall colors may simply turn brown and fall off. I think this is the first year that I have not gone up to Spooner and Marlette Lakes for the glorious blast of gold in North Canyon! This picture is from last October. We have yet to find this kind of glorious color in 2009. This picture is of my friend, Becky on her paint mare, Sierra and was taken in 2007 near Marlette Lake, Spooner Summit, Lake Tahoe, Nevada. The colors were blindingly gorgeous!! !